This monograph is about an exciting episode in the intellectual history of Europe: the vigorous debate among leading Polish historians on the sources of the economic development and non-development, including the origins of economic divisions within Europe. The work covers nearly fifty years of this debate between the publication of two pivotal works in 1947 and 1994. 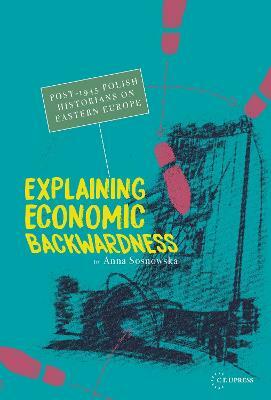 Anna Sosnowska provides an insightful interpretation of how local and generational experience shaped the notions of post-1945 Polish historians about Eastern European backwardness, and how their debate influenced Western historical sociology, social theories of development and dependency in peripheral areas, and the image of Eastern Europe in Western, Marxist-inspired social science. Although created under the adverse conditions of state socialism and censorship, this body of scholarship had an important repercussion in international social science of the post-war period, contributing an emphasis on international comparisons, as well as a stress on social theory and explanations. Sosnowska's analysis also helps to understand current differences that lead to conflicts between Europe's richest and economically most developed core and its southern and eastern peripheries. The historians she studies also investigated analogies between paths in Eastern Europe and regions of West Africa, Latin America and East Asia.